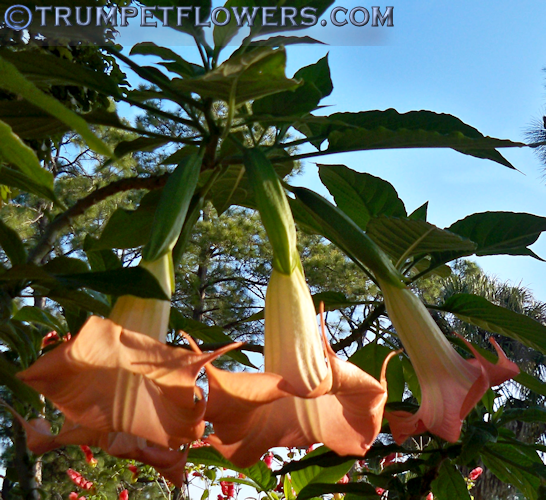 This is Angel Trumpet Dola. Dola is hybridized by Paul Phillips. Parentage is Butterfly X Ecuador Pink. Released in 2006. 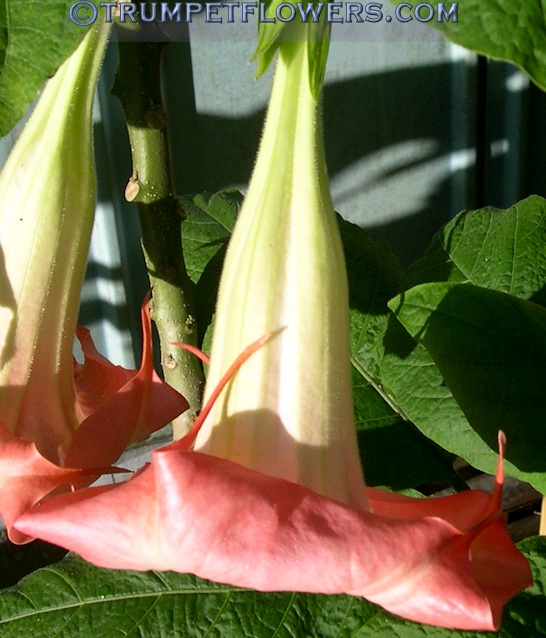 Brugmansia Dola colors up to paler peach tones on a cool winter morning. 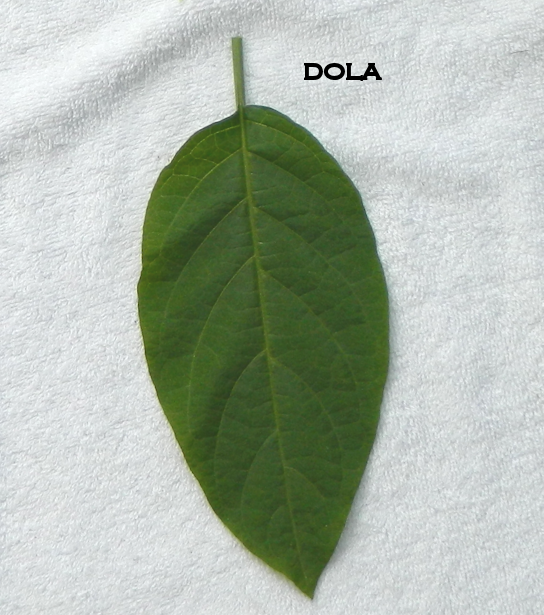 Dola has large, shiny leaves. The leaf of Angel Trumpet Dola has a slight leathery feel to the touch. 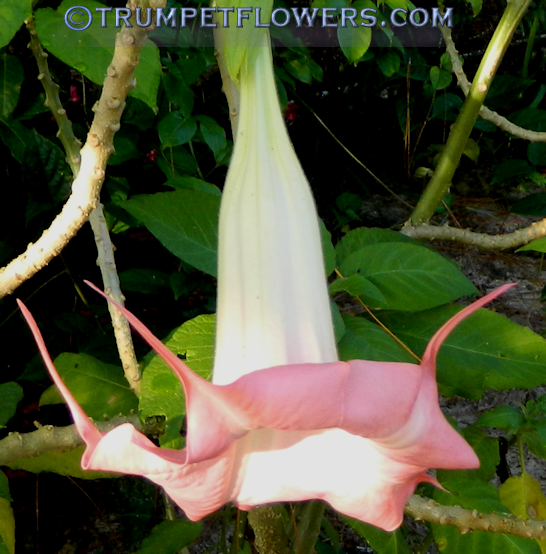 This entry was posted on October 13th, 2013 and is filed under Brugmansia Gallery.